Mount Kailash, the holiest mountain to Tibetan Buddhists & Hindus, is the main source of four great rivers—the Indus, Brahmaputra, Sutlej, and Karnali. It is the ultimate pilgrimage site for Hindus and Buddhists. They believe that by devoutly circling the mountain on foot, they will be cleansed of all earthly sins and reach ultimate spiritual freedom. 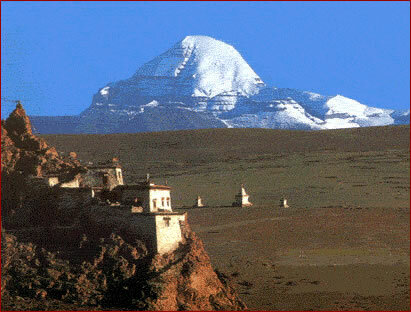 Our own pilgrimage to Kailash will begin with a few days in Lhasa to take in its wondrous sights. These include the legendary gold-roofed, thousand-room Potala Palace, among others. Then we head to Lake Manasarovar in Western Tibet. Lake Manasarovar is the sacred lake below Kailas. While Hindus take a ritual bath in its glacial water, a plunge for us is optional. 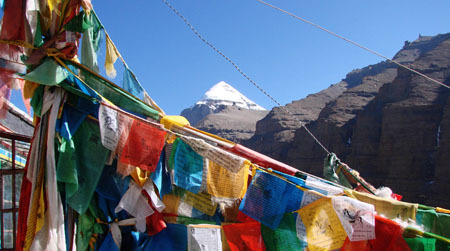 Here we’ll trek a circuit of the lake, in preparation for the trek we’ll be doing around Mount Kailas. Next, it’s on to the holy mountain itself. Joining other nomads and pilgrims from as far away as India, we set off for the 32-mile circuit of the peak along the kora, the sacred circuit around Kailash. Just one circuit is said to erase the sins of a lifetime, 108 assures Nirvana. The most devout pilgrims circle the mountain in one day, but we’ll take our time and do it in four. Upon completion of the kora, we return to Lake Manasarovar, before beginning the long drive back to Lhasa. Sera and Drepung—the principal Monasteries. Sera, founded in 1419, is a monastery of the Gelugpa order. Drepung used to have 8,000 monks who were taught in the traditions of Vajrayana, Mahayana, and Sutrayana, the three vehicles of Tibetan Buddhism. All accommodations in comfortable hotels. Mule drivers and mules during the trekking. All monastery entrance fees, wild life fees and camping fees. Service of cook and attendants during the trekking. Alcoholic and non-alcoholic (i.e. sodas) drinks. Nepal visas, excess baggage charges, airport taxes. Laundry, items of a personal nature, and other services not mentioned in the package. If you need any arrangement, please let us know. * Single Supplement—$380 for “requested” singles; $225 for “forced” singles. If you prefer single accommodations, you must pay the Single Supplement Fee. If you’re traveling alone and wish to share accommodations, we’ll try our best to find you a roommate. If that’s not possible, we will only charge you half of the single supplement. Whilst every effort is made to keep to the above itinerary, clients will hopefully appreciate that this is Adventure Travel in a remote mountain region. There will quite likely be changes to the itinerary in terms of anything from on-the-spot choice of campsite to when a rest day is taken. 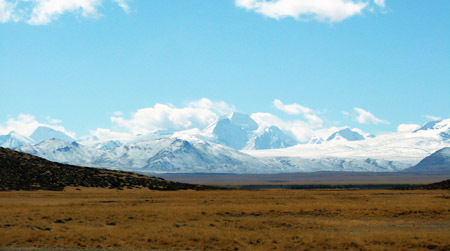 Weather conditions, road conditions, vehicle breakdowns off the beaten track, local availability of horses or yaks, can contribute to the need for changes. The Trek guide will do everything in his power to see that you are inconvenienced as little as possible in such circumstances. Timings are approximate.